Registered with the Charity Commission 271519. 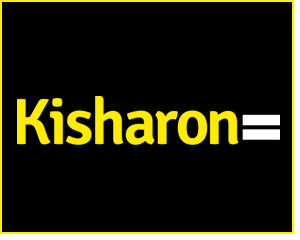 Kisharon is a Company Limited by Guarantee Incorporated in England & Wales No 01259900. Registered office: 1st Floor, 333 Edgware Road, London NW9 6TD. Kisharon reserves the right to change the Terms and Conditions at any time and without prior notice by posting changes online. Your continued use of the site after changes are posted constitutes acceptance of this agreement as modified by the posted changes. 4.1 Any organisation wishing to set up a link to this site must complete a link request form – click here. 4.2 The existence of a link from any organisation’s site to the Kisharon site does not imply that Kisharon endorses the activities or views of that organisation. 5.1 The Kisharon Logo is the trademark of Kisharon. 5.2 The names, images and logos identifying Kisharon or third parties and their products and services are the proprietary marks of the Kisharon and/or third parties as appropriate. Nothing contained therein shall be construed as conferring by implication, estoppel or otherwise any licence or right under any trademark or patent of the Kisharon or any third party. You agree to use this site only for lawful purposes, and in a manner which does not infringe the rights of, or restrict, or inhibit the use and enjoyment of this site by any third party. Such restriction and inhibition includes, but without limitation, conduct which is unlawful, illegal or which may harass or cause distress, harm or inconvenience to any person and the transmission of obscene or offensive material or disruption of normal flow of dialogue within this site.This site and the information, names, images, photographs, logos and icons regarding or relating to Kisharon, its products and services (or to third party products and services) is provided ‘AS IS’ and on an ‘IS AVAILABLE’ basis without any representation or endorsement made and without warranty of any kind whether expressed or implied, including but not limited to the implied warranties of satisfactory quality, fitness for a particular purpose, non-infringement, compatibility, security and accuracy. Kisharon does not accept liability for any damages, including, without limitation, indirect or consequential damages, or loss of profits, or any damages whatsoever or howsoever arising out of or in connection with the use or loss of use of this site. 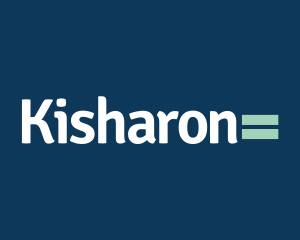 Kisharon does not warrant that the functions contained in the material included in this site will be uninterrupted or error-free, that defects will be corrected, or that this site or the server that makes it available are free of viruses or bugs or represents the full functionality, accuracy or reliability of the materials.